Stephen M. Kantz of Plainwell passed away Thursday, April 25, 2013, at Blodgett Hospital in Grand Rapids. Steve was born August 29, 1941 in Royal Oak to Floyd and Betty (Michael) Kantz .He grew up in Williamsburg, MI. Steve graduated from Michigan State University and Wayne State University Law School. He was an Army veteran of the Vietnam War era. In 1970 he started practicing law in Allegan with Leo Hoffman. In 1973 he opened his own office in a double wide on the point of Jefferson and Lincoln Roads. In his spare time from practicing law, he built the brick building that still stands on that corner. He retired in 2006. Steve truly enjoyed working with people in Otsego, Plainwell and surrounding communities in Allegan county. He called himself a ‘Country Lawyer’. Steve loved power boating on Lake Michigan. He was a charter member of Deep Harbor Marina. His boat was named The Law Merchant. Steve and Sandy enjoyed many friendships and comraderie at the marina. He was a member of the Allegan County Bar Association during his years of practicing law. Steve ate dinner at the Elks Club on Wednesday nights where he had been a member since the 1970’s. While a teenager, he became an amateur radio club member with a squawking noise going on late into the night. There’s a ‘Radio Room’ still at home at Lake Doster. Steve joined the Kazooski Ski club in the 1970’s. He and Sandy enjoyed many friendships and trips to Bittersweet, up north, Utah and Nevada. In the last few years, Steve enjoyed playing cards in the Allegan County Bridge Club. Also in the 1970’s, he played tennis at West Hills Athletic club. Steve played championship tennis at Traverse City High School. Other former memberships include Otsego Rotary Club and Otsego Chamber of Commerce. On June 24, 1990 on their boat in the cove at Saugatuck, Steve married Sandra ‘Sandy’ Adams (Anderson) who survives. Also surviving are a daughter, Rochelle (Tim) Gargus of South Haven; 3 grandchildren, Madison, Bryce and Harrison; a step-son Michael (Laura) Adams of Chicago; an adopted son, Christopher (Sara) Dent of Georgia; a sister, Nancy (Paul) Deal of Texas; a brother, Dennis (Dawn) Kantz of North Carolina; several nieces and nephews. He was preceded in death by his parents and a twin brother. Cremation has taken place. Friends may meet with his family at the Winkel Funeral Home, Otsego, on Wednesday, May 1, 2013 from 10:00am until 11:00am when a memorial service will be held with Rev. Daniel Facemyer officiating. In lieu of flowers, memorial contributions may be made to the Kidney Foundation or the Heart Association. 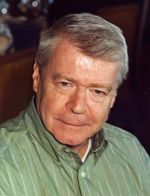 Dennis W. Patrick of Shelbyville, Michigan, passed away Wednesday, April 24, 2013, at Blodgett Hospital in Grand Rapids. Dennis was born January 28, 1956 in Allegan to Albert “Tick” and Joan (Brenner) Patrick. Surviving are his daughters, Rebecca (James) Holmes and Mandy (Kristopher) Hall both of Allegan; 6 grandchildren; mother, Joan Lewis of Allegan; aunt, Jean Zwiers of Martin; cousin, Terry Macak of Otsego and many aunts, uncles and cousins. Larry L. Bronson of Portage, Michigan, passed away Tuesday, April 23, 2013, at Rose Arbor in Kalamazoo. Larry was born August 28, 1938 in Plainwell to Rev. Lloyd and Ica (Covault) Bronson. He grew up on the Bronson farm in Trowbridge Twp. and graduated from Otsego High School in 1956. In 1960 he received his undergraduate degree from Western Michigan University and earned his PhD. in 1970 from Rutgers University. He was a professor of Medieval History first at Russell Sage College in Troy, NY and then from 1967 to 1997 at Central Michigan University. After his retirement he moved to Florida in 2005 until moving back to this area in 2011. Surviving are a brother, George E. (Ann) Bronson of Kalamazoo; two nieces, Amanda (Jon) Ferris of California and Suzanne Bronson of Kalamazoo; a grand niece and nephew, Jonathan Ferris of California and Jessica (Joe) Gazsi and their daughter, Penny, of California; many cousins; and special friends, Carole and Charles Muller and family, Leslie Nettie all of Florida, Mrs. Carol Overley and Mrs. Louise Harvey both of Kalamazoo. The family wishes to express their thanks to the staffs at Bickford Assisted Living and Rose Arbor Hospice for their loving care. Cremation has taken place. A Memorial Service will be held at 11:00 A.M. Saturday, May 4, 2013, at Winkel Funeral Home, Otsego, with Pastor Steve Johnson officiating. Burial of ashes will be at Trowbridge Cemetery. Contributions in memory of Larry may be made to Rose Arbor Hospice or Portage Bickford Assisted Living. 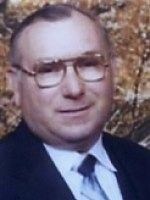 Howard A. Morgan of Otsego passed away Tuesday, April 23, 2013, in Allegan. Mr. Morgan was born June 5, 1927 in Trowbridge Township to Alton and Eva (Emmons) Morgan and was a lifelong resident of the area. For many years he was employed at Allied Paper, J.A. Richards, and Cadillac Plastic before retiring from United Technological. He was a member of the Otsego Elks, the Allegan Eagles and the Otsego Moose Lodge. Howard has received a jacket for Fellowship, Legionnaire and the Highest Degree in Moose, a Pilgrim. He helped with the special needs picnic and Christmas Party at the Moose Lodge. As a young man he helped remodel homes for others. He had been a Boy Scout Leader and helped Marian with Girl Scouts, was a Red Cross Instructor, Community Chest Board, and a volunteer with the VA Medical Center in Battle Creek. Howard held a patent for a spooling device for winding plastic beading for the automobile industry. On June 10, 1945 in Plainwell he married Marian Howard who survives. Also surviving are two daughters, Mary (Ron) Harris of Plainwell and Margie (Jim) Grabowski of Allegan; 5 grandchildren and 5 great-grandchildren; his brother, Harold Morgan of Kalamazoo. He was preceded in death by his parents, a sister Lois Germain and a grandson Glenn Harris. Friends may meet with Howard’s family from 2 to 4 and 6 to 8 P.M. Friday at the Winkel Funeral Home, Otsego with a Moose Memorial Service at 7 P.M. Funeral services will be held at 11:00 A.M. Saturday, Bill Rose officiating. Burial will follow at Hillside Cemetery, Plainwell. Contributions in memory of Howard may be made to Moose Scholarship or Wings of Hope Hospice. 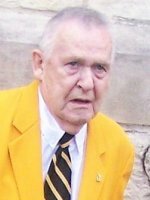 Ernest ‘Jim’ Lutes of Holland, Michigan (formerly of Otsego and Houghton Lake) passed away Sunday, April 21, 2013 in Alamo. Mr. Lutes was born September 22, 1935 in Plainwell to Maynard and Thelma (McFannin) Lutes. Jim was a graduate of Plainwell High School and served his country during peacetime in the U.S. Army. For 34 years he was employed at Menasha Corp. Following his retirement Jim and his wife Betty moved to Houghton Lake, where they spent about 20 years before moving back to the area. In his leisure time he enjoyed hunting and fishing. For 26 years he was involved with the Boy Scouts of America and for 19 years he acted as Scoutmaster for B.S.A. Troop 98 in Otsego. Jim was a member of the Otsego Moose Lodge #345 and had been a mentor in the Big Brother program. On July 1, 1961 he married the former Betty Foote, who died in 2012. He was also preceded in death by his sister, Sally. Surviving are a daughter and a son, Tammy Ellen Lutes of Holland and Thomas Allen (Betsy) Lutes of Otsego; grandchildren, James Clayton (Cora) Lutes and Jesse Ellen Lutes; a great-grandson, Clayton James Lutes; sisters, Irene and Marylan. Jim’s family would like to thank his close friend, Paul Doxey for his continued support. Friends may visit with Jim’s family from 10 am to noon and 2 to 3 P.M. Thursday, April 25, 2013 at the Winkel Funeral Home, Otsego, with funeral services following at 3:00 P.M.
Cremation will follow and burial of ashes will be at Mountain Home Cemetery, Otsego. Contributions in memory of Jim may be made to B.S.A Troop 98. 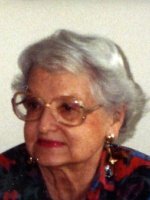 Virginia L. Lovett of Otsego, MI passed away Thursday, April 18, 2013 in Plainwell at the age of 96 after a short illness. Virginia was born March 4, 1917 in Kalamazoo to Edgar and Dorothy (Percival) Barnes. She lived in Otsego for most of her life. She and her husband, Charles, owned and operated the Otsego Hardware and Gift Shop for 35 years. They were members of the Otsego United Methodist Church where Virginia sang in the choir for many years. They had five children. Virginia was preceded in death by her children, Judith A. and Peter L.; grandson, Steven Jones and by her brother, Edgar Barnes. She is survived by her children, Charles T. (Mary Lou) Lovett, Penny L. (Bruce Smith) Lovett, Emily J. (David) Jaspers and by 10 grandchildren. Cremation has taken place. Burial of ashes will take place at Mountain Home Cemetery at a later time. 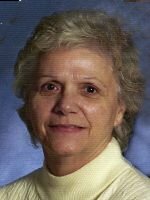 Patricia Ann (Thomas, Lesterhouse) Higgs of Plainwell, Michigan, passed away on Wednesday, April 17, 2013, in Otsego. Pat was born April 14, 1941, in Plainwell, the daughter of Howard and Agnes (Henderson) Thomas. She graduated from Plainwell High School in 1959. On June 15, 2007, she was married to Robert C. Higgs, who survives. Also surviving are: her daughter, Jill Renee (Lesterhouse) Vernia and her husband, Robert, of Allegan; a step-son, Jim Higgs and his wife, Suzanne, of Plainwell; four grandchildren, Caelen, Logan, Matheson and Savannah Vernia; two step-grandchildren, Bob Higgs and Dianna Higgs Stampfler; a sister-in-law, Betty Orr; a brother-in-law, Cecil Youtzy; and several nieces and nephews. Pat was preceded in death by her parents, a daughter, Jolene; and by her brothers, John and Donald, and by her sisters, Eileen and Paula. Friends may meet the family at the Winkel Funeral Home in Otsego from 1:00 P.M. until 2:00 p.m. Saturday, April 20, 2013, when a service will follow. In lieu of flowers, the family suggests a contribution in Pat’s memory to Wings Of Hope Hospice. 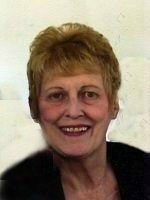 Deanna Elizabeth Flower of Martin, Michigan, died peacefully in her sleep on Wednesday, April 17, 2013, after a lengthy battle with C.O.P.D. Mrs. Flower was born April 25, 1938 in Gary, Indiana to Joseph and Violet (Hokanson) Denslaw. On April 11, 1964, in Gary she married Donald M. Flower. She was a devoted homemaker and during the 1970’s she worked as the Martin Librarian. In her leisure time she enjoyed reading and painting. Surviving in addition to her husband of 49 years are a son, Bradley Flower of Martin; two grandchildren, Nathan and Olivia; and a brother, Dennis Denslaw of Marble, NC. Cremation has taken place. A Memorial Visitation will be held from 7 to 9 P.M. on Wednesday, May 1, 2013, at Winkel Funeral Home, Otsego. Private burial of ashes will be at South Martin Cemetery. Contributions in memory of Deanna may be made to Barry Community Hospice, 450 Meadow Run Dr., Hastings, MI 49058. 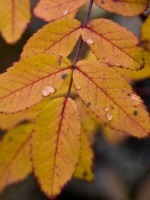 George B. Jorgensen of Otsego, Michigan passed away Wednesday, April 10, 2013 in Plainwell. Mr. Jorgensen was born November 1, 1927 in Chicago, IL to Andrew and Grace (Bowman) Jorgensen. George served his country in the U.S. Army during the Korean War. For 38 years he was employed with the MacSimBar, Mead Corp. and Rock Tenn and was a member of the Fireman & Oilers Union. 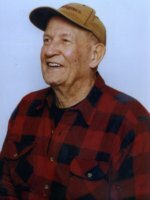 He loved German Shepherds and Saint Bernards, enjoyed deer hunting, visiting the Gilmore Car Museum, antique cars and tractors. George especially loved his grandchildren. Surviving are two sons and a daughter, Greg (Tracy) Jorgensen of Grand Haven, Jerry (Dorothy) Jorgensen and Grace Smith, both of Otsego; grandchildren, Eric (Cassandra) Jorgensen of Plainwell, Erin (Ryan) Henson of TX, Candice (Mike) Dishman of Battle Creek, Brianna Hollister of Grand Haven, Angela (Nick) Halopulos of Macomb, Jennifer Evink of Plainwell, Samantha (Vance) Gazi of Vicksburg, Devenn Jorgensen of Otsego, Tamara Smith of SC and Teresa Smith of Gobles; 9 great-grandchildren and 3 more on the way; siblings, Elaine (Ray) Sigler of IL and Timothy (Arlene) Jorgensen of Pullman; brother-in-law, Frank Haefner of Monterey; sister-in-law, Phyllis Jorgensen of IL; many nieces and nephews. He was preceded in death by a great-grandson, Aiden Jorgensen; siblings, Andrew Jorgensen, Julie (Jim) McGlynn and Grace Haefner. Friends may visit with George’s family from 2 to 5 P.M. Sunday, April 14, 2013 at the Winkel Funeral Home, Otsego, where Funeral Services will be held at 1:00 P.M. Monday, April 15, 2013 William Rose officiating. Burial will be at Hudson Corners Cemetery with a luncheon to follow at the Otsego V.F.W. Contributions in memory of George may be made to the Life Care Center of Plainwell Activities Fund.